As a Bring Your Own Device (BYOD) plan, choose from the best Android tablets on the market today. As one of our ELD Chrome solutions, the Cab-Mate Open provides a flexible, simple way for your company to achieve FMCSA compliance while still offering the ability to expand later. As a Bring Your Own Device (BYOD) option, it means that your fleet can make use of any of the best Android tablets available on the market. It also lets you determine which apps are available to drivers. Our team will help you ensure that your fleet is completely compliant with all ELD regulations while also guiding you in making telematics data work for your business. 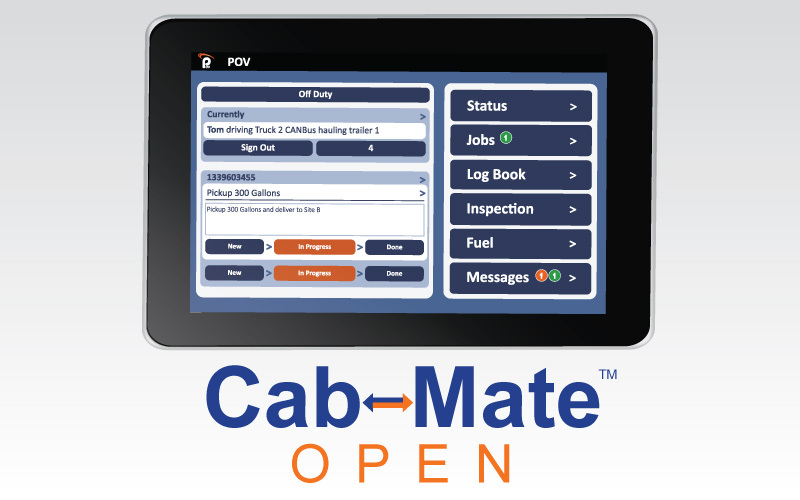 Additionally, as with all ELD Chrome products, Cab-Mate Open comes from a company with over 7 years of experience providing quality HOS solutions to the transportation industry. That means you won’t be somebody’s guinea pig, and you’ll get access to top-notch customer service and support from our knowledgeable team when you need it. Want more choices for your drivers? Cab-Mate Open works with a wide range of Android tablets and allows access to additional apps.